Our youngest Granddaughter, Mo, was here over the weekend. We found ourselves doing silly alliteration over everything. This post is linked to Warm Heart Wednesday #23. For other heart warming links just click here. I heard the doorbell ringing at 7:30. I heard Mr. Jenny tell someone that I was still in bed. I heard Mr. Jenny close the door and when he walked into the bedroom he had a surprise. Delivered from a dear new friend. And it was a wonderful start to my 60th birthday! This post is linked to Warm Heart Wednesday #22. For other heart warming links just click here. In the wayyyyy back of the freezer in the garage, I found them. They looked a little bit frost-bitten, but I didn't care. And coming down with a bad case of 'Berry-Berry' all over our arms and legs. I thought we had eaten them all in muffins and pies! There were four cups of the dark purple jewels just waiting to be turned into a cobbler for some company we had coming to visit. They grow wild here in patches up around 6,500 feet elevation. Mr. Jenny and I picked and picked last year and are planning to do it with wild abandon again this year! 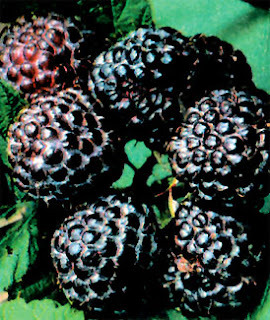 The only bad thing about making a black raspberry cobbler for house guests is that there is a good possibility they will never leave. At least until they find out the freezer is empty. This post is linked to Warm Heart Wednesday #21. For other heart warming links just click here. We found the rusty bike wheels at a junk yard that has since gone out of business. We found the rusty metal cans in the desert. We found the handyman willing to build both of our garden plots for a donation to the food banks. This is our West garden. We have marked each of the 6' square plots with tin cans. We're all stumped on the sign for the Onion plot, though. None of us can think of anything clever for the onions. If you can think if something, I will reward you with a prize. Thanks for letting me share 1/2 of our garden with you. 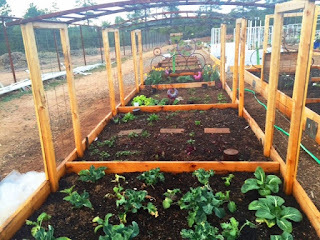 Planting always warms my heart. 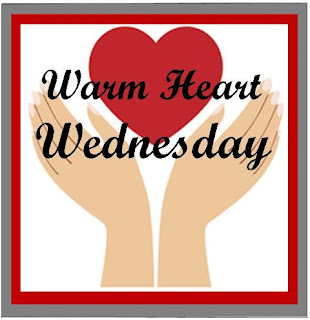 This post is linked to Warm Heart Wednesday #20. For other heart warming links just click here.